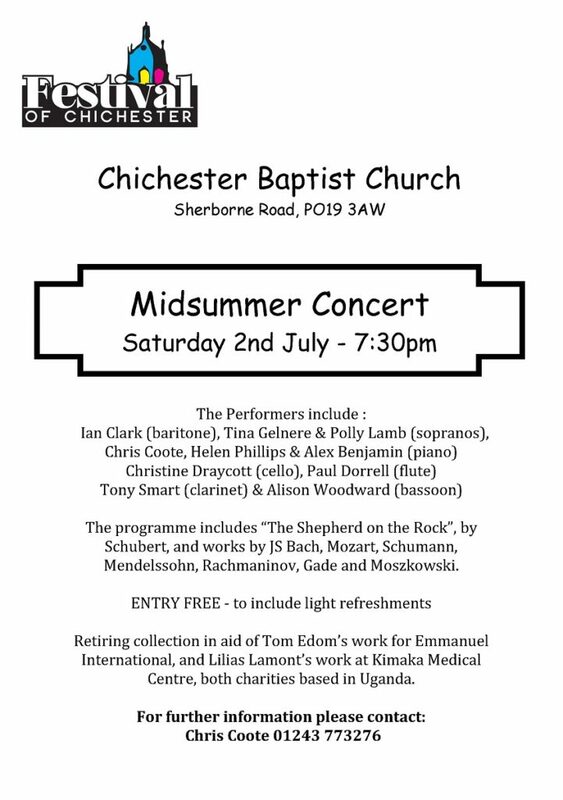 Chichester Baptist Church is hosting a concert on 2nd July 2016 to raise funds for their mission projects, which includes the Pads Ministry that Tom Edom is involved with. Sue Fallon, our General Manager, will be speaking at the event. Please come and support this concert! If you cannot attend but would still like to support the Pads Ministry, you can do so by sending a cheque (made out to Emmanuel International, with a note Pads Ministry on the back) to Emmanuel International, or use other ways to give. You can also make an online gift through Charity Checkout by clicking on the button below.